Microfibre Lens Cleaning Tissue Set. Book of 50 Sheets. For Optics, Lenses etc. For Fuji X100F. - Suitable for Fuji X series. - 1 x Shutter Release Button. - Wood Material: Black Walnut, Dalbergia, CHACATE PRETO. - 1 x Hot Shoe Cover. Detail Image. 1 x Close-Up Lens withselfie mirror. LZ1326 Official Canon lens Zipper Case(for EF70-200mm F2.8L IS II USM). ET-87 ET87 RHC-ET87 Bayonet Lens Hood for Canon EF 70-200mm. 1 x Colorful close-up lens(filter), 4 colors (Yellow/Blue/Red/Green). 1 x Rabbit Design Close-up lens. 1 x mini Book Album. 1 x Sticker borders (60 pcs). Save when you buy this bundles set. Case Material: PU leather. Note:when you payment the item .you will choose two ways the ship way . Economy Int'l shipping have not the tracking number . Standard Int'l shipping have tracking number ,so that you can check your item all ship imformaton this price without the adapter ring if you need adapter ring contact me feel free Features: 1.This len is a 35mm lens incorporates advanced optical elements to ensure all-around sharpness and efficient light conductivity. Its iris can be manually adjusted according to available light levels. 2.Mount type: C mount 3.Focal Length: 35mm. The three-prong mount is compatible with most GoPro housings, for most GoPro models, including the HERO3 and HERO3 . The Tripod Adapter for the GoPro Hero gives you the ability to attach a GoPro to standard tripods or for that matter just about any mounting accessory that features a 1/4"-20 screws. Gear 360 2017 Edition Cam. Samsung Gear 360. 360fly 360° Cam. 1 x 1/4" screw Nut. 2x Black Screw Wrench Spanner. 1×Long screw. Material: Aluminum Alloy. 1x Stabilizer Mount Holder. 1 X Kupton Superfine Fiber Cloth. Kupton Head Strap Chest Harness. Kupton Bike Handlebar Car Suction Cup. It's fully adjustable to fit a wide range of adult sizes. Attaching your GoPro securely to cars, dashboard or roof, boats, motorcycles and more industrial Strength. Now you can keep all your favourite pictures in one place and share with friends and family. The album is small, idea hand bag or brief case size. Pocket photo album holds 108 mini prints. Colour coordinated photo album. Holaca Selfie Solution Kit For Samsung Gear 360,Gear 360 2017 Edition Cam,360fly 360° Cam, Ricoh Theta S SC M15 Theta V. Simply twist counter clockwise to release, choose your desired length, and twist clockwise to lock. Just screw the HD Digital Slide Duplicator with a suitable stepping ring on the lens and you can start. By using the slide holder you can adjust the slide in front of the lens. Now adjust the right exposure and the right picture detail and capture – ready! Konova CRANK HANDLE KIT for Konova 100cm Slider. This crank handle kit is in immaculate condition and full working order. This add-on enables smooth, slow slides using any 100cm Konova slider. Condition is Used. Dispatched with Royal Mail 2nd Class. Panasonic TZ80 Case and Battery Kit - TZ80KIT-PU-K.
Panasonic TZ90 Case and Battery Kit - TZ90KIT. 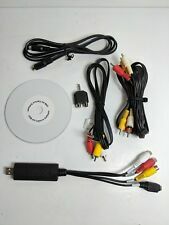 This bundle is great value, containing. Aluminium Binocular Tripod for Celestron TRAILSEEKER 8X42 | SGODDE 16 x 52 kourosh8907(270). Improve your videos with this Duragadget bundle. Save money! Get an array of accessories at a knockdown price. 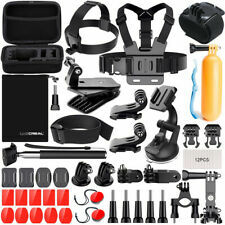 GoPro bag of mounts for Hero 2 3 3 4 HD. 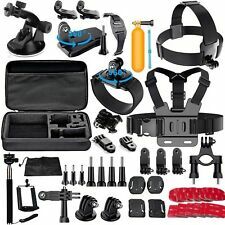 Mounts and accessories for a variety of GoPro uses. Expand your GoPro mounting options! Save £££’s over purchasing mounts individually. 1 x flat & 1 x curved mounts with 3M adhesive pads. One Gopro Wrench. One Auto Suction Cup One Tripod Adapter. One Chest Strap Mount. One Head Strap Mount. One J-Hook Buckle Mount. One 360° Wrist Strap. One Floating Grip One Screw. Handle for 15mm Rod. 1x Handle for 15mm Rod. What.s in the box. Fujifilm genuine instax mini 8 Accessory Kit in ice blue. Photos of all the items in the kit are above. Compatible with the Fujifilm Instax mini camera Includes the following Camera case and carry strap Mini photo album Close-up lens & selfie mirror Single instax mini frame Instax photo storage tin 10 x sticky back magnet pack Condition is New. Dispatched with Royal Mail 2nd Class. 3 Pieces Instant Film Sticker Set (60 Pieces). 1 Piece Close-up Lens Selfie Mirror. 1 Piece 64 Pockets Photo Album. MINI-CELL Slave Unit Trigger for Hot Shoe Flash. ■Appearance of the item Appearance is Excellent;tiny scuffs from normal use. It cannot declare lower than commodity prices. conditions are impossible for you. 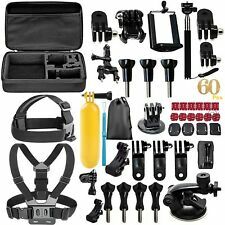 1 Piecex Waterproof Case For Gopro 5/6. 1 Piecex USB Cable. - Coin-shaped switch and touch back cover makes the case easy to use, very convenient. Good quality! Excellent Service! This effect is often used to increase the contrast and saturation in blue skies and white clouds. Hoya's polarising filters do not affect the overall colour balance of a shot. Don't risk your valuable photos by using bare-glass filters - try a Hoya Digital Multi-Coated filter and see how the benefit of substantially reduced reflections can improve your images. Type: Protective Case for Xiaomi Yi. - With 40.5mm UV Filter. 1 x 40.5mm UV Filter. 1 x Lens Protective Cover. 1 x Mount Adapter. - Compact Size,easy to use. Body Armour. Why Buy From Us. Wheels & Tyres. Food & Nutrition. Compatible with: GoPro Hero 3/3 . Compatible Battery:For GoPro HD Hero 3 Hero3 DF903. Engineered for optimal sound at speed. Smart LED indicator shows charging status. 1 x Mini USB Cable. (Other countries or remote areas may take longer.). Black EVA Protective Headphone / Earphones Carry Case And Cover W/ Netter Pocket. This bundle is great value, containing. Hard EVA Case. Car Dashboard Adhesive Mount & Flex Clamp for Samsung Galaxy J7 / J5 Smartphones. Note:when you payment the item .you will choose two ways the ship way . Economy Int'l shipping have not the tracking number . Standard Int'l shipping have tracking number ,so that you can check your item all ship imformaton Features: 1.This len is a 35mm lens incorporates advanced optical elements to ensure all-around sharpness and efficient light conductivity. Its iris can be manually adjusted according to available light levels. 2.Mount type: C mount 3.Focal Length: 35mm 4.Aperture: F1.6-C 5.Angle of view: 18 6.Object distance: 30cm - infinity. Lens Hood Accessories. Filter Accessories. Chest Harness. Cleaning & Care. Tripod Accessories. Head Strap. Flashguns & Accessories. Tripod Adapter. Can achieve crea-tive light effects by using them with great convenience and portability. Compatible: For Godox H200R Round Flash Head AD200 Accessories. Four-wing Reflector: Crea-tive light effects by adjusting reflectors' directions. Deep breath (because there is a lot included!) All brand new and in original wrapping. 1. Purple photo album 2. Purple camera case 3. Purple selfie and close up attachment 4. 4 multi coloured close up lens 5. Pack of 4 coloured photo frames 6. 2 packs of string photo frames with multi coloured pegs (to hang on wall, around bed for example) 7. Other boys and pieces! 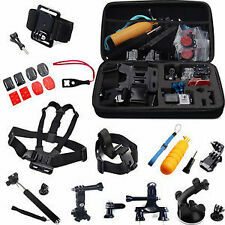 1 Piecex Waterproof Case for GoPro 5/6. Coin-shaped switch and touch back cover makes the case easy to use, very convenient. Due to the light and screen setting difference, the item's color may be slightly different from the pictures.